Hey, 14-21. Perhaps there’s hope after all. Late edit: The West Tenn Diamond Jaxx’ website says that Jack Wilson will be rehabbing with them starting tomorrow when the roadtrip to Mississippi begins. The Mariners official site confirms. Not a great outing for him, though watching him fool Longoria badly on a 88mph pitch in, and then get him to K on a checked swing up in the eyes, that was nice. The run that scored against Fister was among the stranger ways I’ve seen to get on the board lately. First there was the double to Bartlett, which is something I suppose, but then Saunders threw a dart to the left of the second base bag that Figgins couldn’t line up with, and so the ball ended up spiking and bouncing away. After that, Fister got a cleat caught in the mound and ended up with a balk that resembled some unintentional whirlwind move that scored Bartlett from third. That was annoying. * As disheartening as the losses in Baltimore were, this game served as a reminder of how much better the team is with Gutierrez in the lineup. The first inning home run on a pitch into his wheelhouse was a decent enough example of that, especially considering that was the first home run Wade Davis had given up to a right-handed hitter all season, but so was the sixth inning walk, where he stole second and alertly went to third as the throw went astray. Smarter baserunning always helps. * One of the comments made during the game was that neither Johnson nor Moore has really taken the title of starting catcher, due to both weak hitting and frequent mistakes behind the plate. After tonight’s game, I figure a number of people out there will want to give that title to Moore after seeing a double and a home run in the box score. Frankly, I don’t know if those two aren’t caught in a ballpark where the ball doesn’t carry as well, but their location, to right field in both instances, raises an interesting point. You look at Rob Johnson’s hitting charts, in Safeco at least, and you’ll see that only four of the balls he’s hit have gone to the right side. Moore, while logging nine fewer at-bats at home, has five, and three of his four balls in play tonight went to the right side. That ability may be more conducive to future success in Safeco. * In May, Casey Kotchman has hit .056/.190/.083 in 36 at-bats. The Rays still opted to walk him intentionally in the sixth in order to bring up Josh Wilson. That should tell you what other teams really think of Wilson’s recent hot hitting. * Kanekoa Texeira had to face the 4-5-6 hitters in the Rays lineup in the bottom of the sixth. He frisbeed in two pitches around 90 mph to get two quick inside strikes on Longoria, and then struck him out two later on a pitch in the dirt. He then struck out Carlos Pena, a left-hander, on eight pitches, and Upton on five pitches, the last two of which were swings out of the zone. The seventh inning featured three pitches to get through the likes of Pat Burrell and John Jaso, and after the walk to Brignac, one more to Bartlett to end the inning. We like Texeira. * Sometime in the sixth inning, seeing a number of pitches being dropped in around the dirt and barely snagged, a small child behind home plate screamed “HE CAN’T EVEN GET A HOLD OF IT!” Though this was one of our better games behind the dish all season, clearly the child had not been watching much Mariners baseball this year. * We shouldn’t fault Kelley for the dinger to Longoria because it was a decent pitch to a fantastic hitter. All you can really do in that case is tip your cap to the guy. Against Carlos Pena, Kelley managed a strikeout on five pitches all around the zone, and B.J. Upton was knocked out with just four. Kelley is still one of the Mariners better relievers when used properly. * I know that the condensed game for this one will include the highlights of the home runs by Gutierrez, Moore, and Sweeney, but I really do hope that Sweeney’s stolen base, his first in four years, manages to make it in there too. Another edit: We now have more home runs than the Cleveland Indians. LOOK OUT, AMERICAN LEAGUE. That title given to this reminds me of that Monty Python scene…. AS did I. lol Think it was intentional? Pitch FX says 13 of Fister’s 37 balls were really strikes, or 35% of them! That’s insane! I’d imagine that’s why it’s in quotes. In other good news, Texas got hammered today to the tune of 16 runs. Oakland is also losing 4-0, after Braden (not so perfect anymore) gave up a 3-run shot to Godzilla. I think MLB.com is very good about including any event of value in the condensed games, so I’m sure Sweeney’s stolen bag would be included. I’d just like to say.. Jenn Mueller is really AWFUL. Thanks for the recap, Jay. Rule clarification please: If Fister lets go of the ball, is it still a balk, or does it then become just a ball and a WP? If he manages to let go of the ball, while falling, and still in contact with the rubber, he would have not been called for a balk. However, he would have to get the ball passed the foul line, as well. So, basically, it’s a balk or a wild pitch, either way. In reality, his best bet was to just let go of the ball, and hope for the best. Maybe it would have hit Rob Johnson in the head, and would have solved his, and our, problem at the same time. Seriously though, the Rays are a great team and any headway we make here is a kind of moral victory. It was Moore behind the plate :\ I talked about his hitting too. I didn’t have time to look all of his at-bats up, but I picked the Brignac one in case it was illustrative. Of course, by the fifth inning, most of those balls were legit and he was really struggling. *Actually on second thought, no. Carp looks as if he’s regressing a bit and nothing special. Oh man, if you had been serious about the Carp thing, I would have been so mad. No, the best option is probably Brad Nelson at this point. Shame he’s not on the 40-man. I’m going to throw this out there even though I’ve yet to see it confirmed anywhere, but the Diamond Jaxx website is reporting that Jack Wilson will be rehabbing with them starting tomorrow. They are reporting Wilson’s rehab assignment on the M’s website now. You know, as much as I sometimes get frustrated by having 643 or Mascot on the roster, Mike Sweeney’s steal of third base was absolutely brilliant. Wade Davis was pitching from the stretch and didn’t think anything of the man on second base, and Sweeney was gone well before the ball ever left Davis’s hand. It was some heady, heady baseball. I’m never one to quibble with the larger analysis offered here. Hell, call me a fan of the site and a more informed baseball fan for it. But I know a bit about pitching and disagree with your assessment of Kelly’s pitch to Longoria. That was a big, fat mistake at the belt and over the middle of the plate. If he goes four seams above the belly button, or more off speed, or more break, or gets less of the white I’ll agree with you and tip the cap to Longoria. But that was a batting practice pitch. Sweeney’s recent surge makes it even harder to justify keeping Griffey on the roster when Bradley returns. The “Sweeney should go first argument” is losing some weight. By almost all indications (last year, spring training, age, recent performance) Sweeney is going to be more productive than Jr. this season. It’ll be interesting to see what happens. 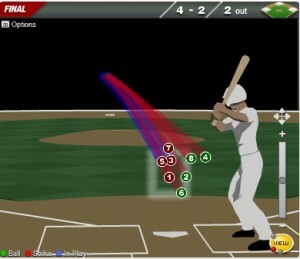 As stated, 13/37 (or 35%) of Fister’s called balls were strikes according to Pitch/FX. I’m very curious to know what the overall league average is of called balls that are strikes according to Pitch/FX. Anyone have any idea, or know where to find this info? Jay, you were watching a different angle than I was. That was a fastball up, and should never have been thrown. Poor decision to throw that one. Ahhhh a great win!! Wow feels awesome to win agianst the best team in baseball. Now we just need to keep this up the rest of the year. The “Sweeney should go first argument” is losing some weight. By almost all indications (last year, spring training, age, recent performance) Sweeney is going to be more productive than Jr. this season. It’ll be interesting to see what happens. For me at least, the “Sweeney goes first” argument isn’t about which of our DH tandem I expect to be more productive. I don’t expect either of them to be productive enough to deserve a roster spot because of their performance. At best they project out to be slightly below average hitters, which is slightly below replacement level for a DH. From a pure performance standpoint, the team would be better off with Carp or Nelson (or at least no worse off). If either of our DH’s deserves a roster spot, it’s for something other than what they can do on the field (or should I say, in the batter’s box, because neither of them can credibly play the field at this point in their careers). That gives Griffey the edge over Sweeney. But I certainly agree it’ll be interesting. What, no love for “The DA” ? That was another Case Closed! He has the best closer nickname since the Sheriff, and he seems to be considered more of a fluke than the real deal, is there some reason for that, or are closers in general just passe ? Casey Kotchman’s had a 23% line drive rate and has been very unlucky on those line drives with an average of .391 (virtually every hitter is around .680-.750). If he keeps hitting the ball well, he’s going to come around.